An unaltered photocopy of wartime Death Notice, Injury, or Military/Merchant Marine Award. 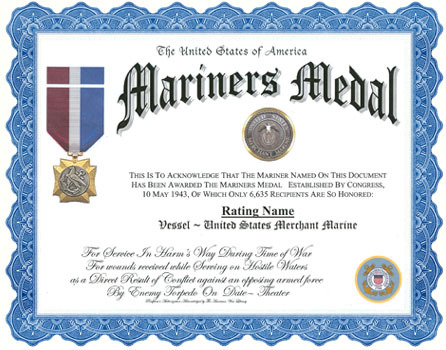 The Merchant Marine Mariner's Medal was authorized on May 10, 1943. It is awarded to merchant seamen who, while serving on a ship from December 7, 1941 to July 25, 1947, were wounded or suffered physical injury as a result of an act of an enemy of the United States; Mariner's Medal - The Mariner's Medal is awarded to any seaman who while serving in a ship during the war period is wounded, suffers physical injury, or suffers through dangerous exposure as a result of an act of enemy of the United States. In the event any such seaman dies from the wounds or injuries before the award can be made to him, the medal may he presented to the person named in the War Risk Policy as his beneficiary. 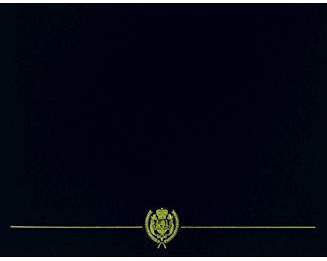 A totle of 6,635 of these were awarded during WWII. Furthur awards of this medal were suspended on 26 March 1954.